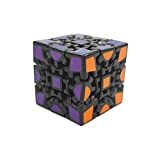 Speedcubing is one of my dearest hobbies which I keep close to my heart and if you are interested in speedcubing you should start here. On HobbyInspired I will write about speedcubing related topics and below you can find the most important pages dedicated to buyer guides, reviews and general how to’s. Solving a Rubik’s cube is not necessarily considered speedsolving depending on how you like to play with your cubes. 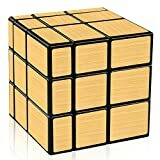 Regardless of your preferences when it comes to rubiks cubes, below you will find everything you need to get started with this hobby and to expand on it if you are already an experienced speedcuber. This is the most detailed 3×3 speedcube buying guide where I covered everything you need to know about 3×3 puzzles. If you are a beginner I highly suggest you read the entire buying guide and then check out the options I outlined in this article. 2×2 speedcubes are a smaller version of the regular Rubik’s cube. They are fun and really great addition to the collection. In this guide, you will read everything that you need to consider before deciding which one you are going to get. 4×4 puzzles are a dimension higher than the original Rubik’s cube and they present a more of a challenge. If you are looking to get one then I encourage you to read this buying guide where I covered everything you need to know before you decide which 4×4 is the best option. If you are looking into lubing your cube then you are at the right place. In this article, I covered how to lube your cube and the best lubes you should use. There are various lubricators you can use but some of them can damage your cube so it is wise to learn about lubes and how to apply them.